To use the online system, you will need your name as listed on your license, your driver license number, your date of birth and last four of your SSN. Visit an ND Drivers License Site and purchase a duplicate license. Yes, you do need to provide proof of resident address if your address has changed and a card is printed. Here is a list of acceptable documents for proof of address. The online address change system isn’t working. You may call our Central Office at 701.328.4353 to assist you in updating your address on record only. In order to change your name on your North Dakota Driver License, you will be required to bring certified documentation of the change in person such as your: Marriage certificate, Divorce decree, or Court order to any ND Drivers License site. A government issued marriage certificate, a certified court order (must have a seal), or a certified divorce decree which specifically states the current legal name (must have a seal), are all acceptable documents. If you are not in need of a renewal of your driver license, you will be required to submit a $3 fee and have a new picture taken. who do I contact to obtain a certified marriage/divorce certificate? 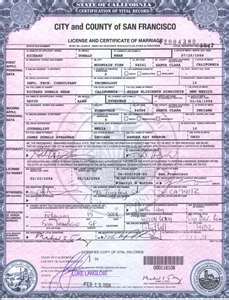 Effective, January 1, 2008, all certified copies of marriage records must be issued by the county where the license was originally purchased and filed. Please contact the appropriate county from the list to obtain a certified copy. North Dakota County Offices should be visited regarding a Marriage Record. Certified copies of divorce records can only be obtained from the county clerk or recorder in the county in which the divorce or annulment was decreed. or e-mail the information you are looking for to vitalrec@state.nd.us. 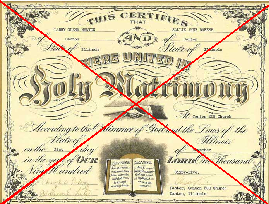 North Dakota County offices should be visited regarding Divorce or Annulment Decrees. Do I need to purchase a corrected license? A ND Drivers License Site must be visited by anyone who has a change of name to purchase a corrected license within 10 days. If you have a commercial license you are required by law to purchase a new license with your corrected address within 10 days. If you are a non-commercial driver you are required to update the address on record only within 10 days. (i.e. voting, check cashing, public library, travel, etc.). What does a Name/Address Change cost? If you do not require a renewal of driver’s license, the cost for a name or address change duplicate license is $3.